How Can Skeuomorphic Design Help Course Creators Build Better E-Learning? 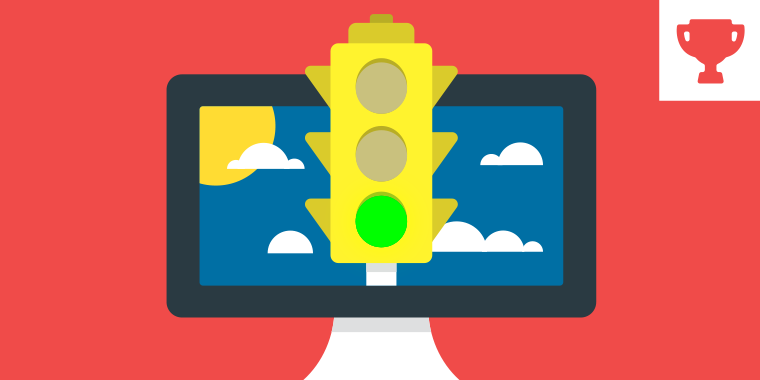 The flat design trend is still strong in e-learning. We see dozens of well-designed examples every week in the community. One of the challenges with design trends is that other, equally valid design techniques get pushed aside or forgotten. Skeuomorphism design isn’t dead, but it has taken a back seat to the minimalist design trends we’ve seen over the past two years. Skeuomorphism works in e-learning because it’s familiar. Using familiar objects, textures, buttons, and design elements can help set the visual voice for the course, which can help the course feel more intuitive and approachable for learners. And that’s what this week’s challenge is all about! 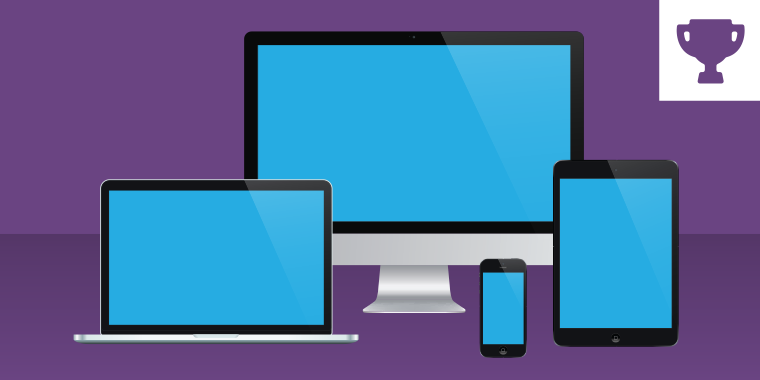 This week, your challenge is to share an example of skeuomorphic design in e-learning. You can share static designs or go with something more interactive. The goal is to show how real-world items and environments can be used in e-learning. Here are some previous flat design challenges to help you see things from the other side. If you shared an example in the flat design challenge, you’re welcome to redesign your entry in a real-world design. So is skeuomorphic design is the opposite of flat design, realistic looking design - with drop shadows, highlights, etc.? I've understood skeuomorphic design to be desing that mimics the form of real items. For example, the bookshelf on the iphone to represent books in your library. Or the note pad that looks like a note pad. Compare the old notepad to the new one: Old - http://i.imgur.com/XlY8YBg.png New - http://i.imgur.com/2emWOXj.png The old design was a visual representation of a notepad. Here's a good example: http://www.mercurynewsphoto.com/justice/justice.html It's an investigative journalism piece on criminal trials. They designed the project around case files, folders, and legal documents. I love this challenge David. Can't wait to really put my thinking cap on for this one! Nice to see you here Tom ! skeuomorph.... what you said about ma momma? LOL I'm liking the sophistication in this challenge! That sure is a cool interaction, Richard! We'll have to include that in our next drag-and-drop roundup! Absolutely dig the way you set this up! Thanks David that means a lot. Much appreciated! Nice Richard! Good job working the angle of the foot. I completely agree with David comment. The way you dig drag-drop feature is incredible and loved the 3D effect. That is so impressive Richard, as always! Hi Richard, this is GREAT. I would love to see how you transitioned to the foot with a 3d view. You are very talented. It would be great to learn how you did this! I don't usually make the time to participate, but I do lurk and look forward to this week's examples. Good challenge. I think we have a few templates that fall into the category. The notebooks, bookshelf, note cards, etc. That's such a fantastic example of skeuomorphism! Thanks for sharing it, Daniel! Hey Daniel - I blogged about this a few days ago - perhaps this is where you came across this?!! http://hopedianne.com/2016/03/30/skeuomorphism-an-awesome-interactive-infographic/ It is a great example and now I have a great opportunity to create something similar. Thanks for bringing this example to the attention of the community - about 2 minutes before I got to share it!! Yes yes Dianne! I received your blog post and I really liked it and felt it was a good example to share! Just wondering what type of skeuomorphic design I should depict. Me too - I'm tempted to recreate this one - still looking for more inspiration though. That's really neat. Thanks Daniel! That's a really cool interaction, Mike! Really nice Mike! Love it. One of the ELH classics! I've seen many people use this one. "ELH Classics" could be it's own series! Cool. I recall seeing that a while back. That scrolling effect is similar to some of the parallax demos people created in the recent challenge using slides. Thanks for sharing Amar! That's neat. Nice idea Srinivas. Welcome to the challenges. Really good images of real objects Srinivas! Nice job with the triggered animations! Very elegant. One cappuccino please! Awesome Phil! The Periodic table is cool, also the calc in iPhone. All of the components (coffees, phone and periodic table) are brilliant, Phil. How long did the table take you?!? Has everyone seen this website; http://www.flatvsrealism.com/ It has a game as the end in which you choose to be flat or realistic. I real liked to flattening machine. What a cool website!! A really fun visual representation of both flat and realistic design. I also thought the flattening machine was cool. Pretty awesome website, love the story format. Nice interpretation of the concept Daniela. And you incorporated the transparent echo technique! Way to go! I liked this Mohammad! Not sure I was crazy about the amount of calories my choices added up to. Nice one! Thanks linda, trying to be creative this time. Nice Alex! Well defined. Like the door sound too. Love it Alex . . . Very nice! Love your sound effects, as always. Hi everyone, I am loving this challenge! I used to love those desktop themes from a few years ago, but I never made one myself, so I decided to take some photos of some of the things on my desk, and my desktop. The only thing that is not mine is the hand (I have sausage fingers!) http://veronicab.com.au/two-demos-skeuomorphism/ I am hoping I can do another one for this challenge. Feedback welcome! Awesome Veronica! How did you get my ELH page to show up? I'm assuming it's set up so each person will see their own? I'm working on a second one using furniture. Hey Daniela, thanks! For the website I just inserted it as a web object. I went back in again and I clicked on the earphones. Nice. My tablet didn't load properly the first time. Nice variety Veronica! Very engaging! Very well integrated concepts Veronica, loving the interactions. Thanks Alexander! I really liked your comparison too! Great submission Veronica. What font did you use on your post-it note? Very nice entry Veronica - very engaging. Nailed it Veronica...This is so awesome! I love it, Veronica! Really fun & engaging! Thanks so much Ashi and Tracy! Looking forward to seeing yours! Wow . . . really loved that Veronica! Not only was I able to type in the notes, when I close it and return, I still see my notes! Someday, I'll achieve that too. That looks really good Mel! Thanks. I added a few extras but may need to clear cache to view. Wish I could decorate my place on a click! Nice Mel! Hi everyone, Here is my entry for this weeks challenge. The first two things that came to my mind were a typewriter and a puzzle . Here is the result. View: http://www.eyespirations.com/wp-content/uploads/articulate/challenges/challenge%20124/story.html Download: http://www.eyespirations.com/wp-content/uploads/articulate/files/challenge%20124.story Enjoy!! What a fun interaction Paul! It looks and works great! I like the font used on the old typewriter. Nice Paul! Really nice concept Paul..loved it. Not only does this look great, but it's funny too! Like how you created the "stitches" look Michael. Nice also how you brought in the fact the world is not flat. It's Brilliant! I am so digging the layout. What a great idea, Linda! Ya think I should have done something like that for my upcoming trip. Nicely done. Did you see who was on the hockey card and did you find the Easter egg? Tim Horton's on the card. Had my picture taken but frankly I think I have changed a lot through evolution, don't you? Very appropriate music for each destination. Great work Linda. I like the nostalgic travel design. Great job! Did you find the Easter egg Veronica? Click the top of the camera. Arrggh, no I hadn't, but I had clicked on the camera on my ipad, I think I just didn't click on the correct spot... I really did think the camera would do something knowing your work, so I'm glad I went back! Loved it, and the music was wonderful! I could kick myself for not combing my hair before I had my picture taken, though! If you can make it there, you can make it anywhere? LOL Pretty awesome Jessica! Cool interaction, David! Totally fits this week's topic! Excellent work! It looks great and is fun to use. Nice graphics and smooth interaction David! Thanks for your comments David, Linda, Jessica Daniela and Veronica! Hi David, great site and nice interaction (good to see what services you provide too). My only suggestion would be, that it took me a while to figure out that your 4pt logo was the way back to the main menu...maybe something a bit more explicit? Hi Brenda, Thanks for the feedback. When you click on an item on the desk and you go to a new layer, each of the layers also has a menu button that takes you back to the main page. Please let me know if this isn't showing for you so I can investigate! Thanks! You're a smart man, Charles Hamper! Thanks for this Charles! I love PowerPoint.